Nonfiction Picture Book Wednesday and I’ve been reading . 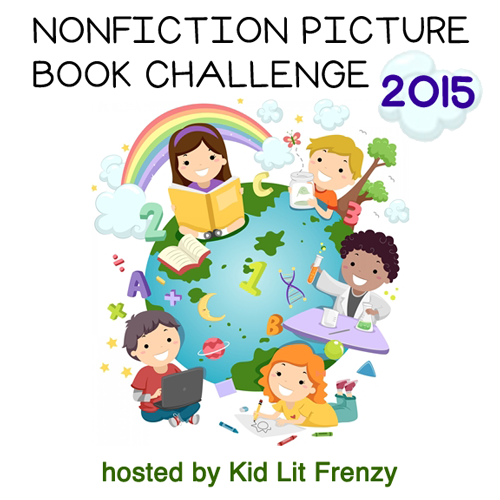 . .
Oh how I love nonfiction picture books and I have been reading some amazing titles. Somehow though, Tuesdays have been tricky days and my #nfpb2015 posts have been few and far between this fall/winter. Hello holidays and time to fill a post full to bursting with some recent favourites. I highly recommend each of these! The perfect book for a classroom raising chickens. Ideal for studying life cycles. Perfectly set up to tackle children’s curiosity and questions about chickens. Numerous snake facts interspersed with the story of a little girl who wants you to know that she REALLY does not like snakes. Snakes are slithery, slimy, with eyes that hold you in a stare. Or is there more to these creatures? I was completely charmed by the retro feel of these illustrations. This book is simply stunning. I purchased it for my dancing nieces and recommend it for anyone who wants to be inspired. For little dancers to be. For those with big hearts who know what it is to share. This book has a very interesting format. First, delve into all of the reasons to fear and possibly loathe these creatures. Then, turn the page and discover a myriad of interesting facts about them. In the end, have your feelings changed? Would be a great mentor text for a research project for intermediate students. Oh, this book. I have had it on my radar all year and yesterday, I picked it up at the bookstore and it came home with me. The images – both text and photographs are powerful and I love all of the facts in the “Splash of Science” pages at the end. This title will become part of my collection for our unit on water which we will begin mid January. I also love the idea of April Pulley Sayre out searching for photographs in various downpours. I am a Vancouver resident. Rain is as natural as breathing. I love seeing it celebrated here. This is nonfictionish so I am including it here. Based on the true story of Julie Butterfly Hill who lived for two years in a redwood tree (named Luna) to protest the cutting of great California redwoods. Absolutely gorgeous illustrations depicting such a beautiful connection to a tree. Masquerading as a gorgeous coffee table art book, this title by Davey is full of information about monkeys. I discovered many things I did not know about various species. Gifting this title to my nephews. This entry was posted in Non-fiction, Nonfiction Picture Book Wednesday and tagged #NFPB2015, April Pulley Sayre, David Anderson, Etta Kaner, Jenny Sue Kostecki-Shaw, Julie Morstad, Laurel Snyder, Luciano Lozano, Nicola Davies, nonfiction, Owen Davey, Robin Page by carriegelson. Bookmark the permalink. I just found Raindrops Roll on sale at Book Warehouse! What a treasure to discover. I am really excited to use it with my class. Mad about Monkeys is on my list of to eventually read. I love Flying Eye Books. As do I! I find one or more of their titles always make it on to some of my best of the year lists! I love Raindrops Roll and Swan, still need to find Luna & Me-sounds wonderful, too. Glad you had a great time reading, Carrie! I always do love spending time with some amazing nonfiction titles! I look forward to purchasing and reading the following books especially Swan and a chicken followed me! Swan is ever so lovely! Enjoy. I need to find a couple of these. 🙂 Thanks for sharing and I look forward to 2016. Me too! I am on a bit of a nonfiction reading blitz this holiday too. Feels good!